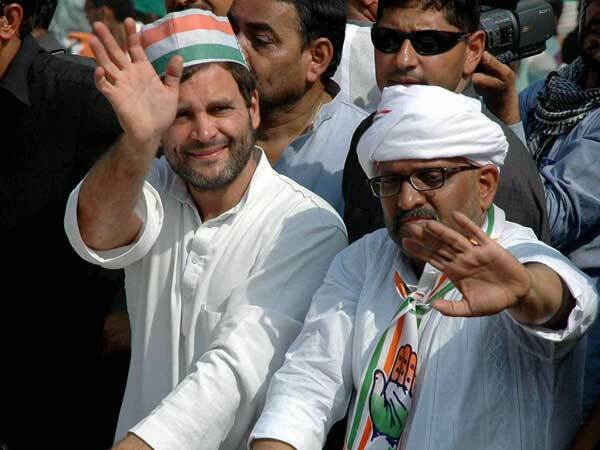 Lucknow, Feb 25: Uttar Pradesh Congress today ( Feb 25, 2006) demanded the arrest of Samajwadi Party general secretary Amar Singh under the Prevention of Corruption Act for 'demanding a cut in a business transaction'. Quoting the SP leader's interview to NDTV on phone tapping CDs available with the channel, UPCC president Salman Khurshid said that since Mr Singh enjoyed the status of a cabinet minister, being the chairman of UP Development Council, a case be registred against him for demanding monetary benefits in a business transaction. "He (Amar Singh) has admitted to the transaction in the interview...he is equivalent to a cabinet minister and as per rules of the Act, he should be booked", Mr Khurshid maintained. He claimed that since one of Mr Singh's reported conversations with Chief Minister Mulayam Singh Yadav pertained to a High Court judge, the union home ministry commenced a discussion on imposition of Article 356 in UP. "As a CM, Mr Yadav should not have even listened to Mr Singh on influencing a judge of the HC...such happenings are bad for our system and under this light, a discussion on whether Article 356 be imposed on UP should begin", he observed. "There is nothing objectionable in my telephonic talks with party president Mulayam Mr Singh Yadav, film personalities and industrialists", Singh had told NDTV. The channel is in possession of CD titled 'Amar Singh Ki Amar Kahani', containing his tapped conversations, including with Anil Dhirubhai Ambani Group (ADAG) chief Anil Ambani and some film personalities. About the allegations that he discussed with his party chief and UP CM Yadav about influencing some High Court judges on the setting up of a Special Economic Zone (SEZ) in Noida, Mr Singh flatly denied they tried to influence any judge. He, however, said it was quite normal to discuss with the party chief the 'attitude' of a judge in a case. Asked by NDTV about the allegation that a Mumbai-based industrialist, who wanted to set up shop in UP, was advised by Mr Anil Ambani to set apart Rs 25 crore as 'aarti' (gratitude money) to Mr Singh, the SP leader said the term 'aarti' had been isinterpreted. "It (aarti) does not mean accepting slush money...it rather connotes giving blessings or taking credit. I did talk to the businessman. I also inquired from him how much profit he would be making in the project. But, at no point did I seek any financial favour from him. There is no talk of any money", he told the news channel.